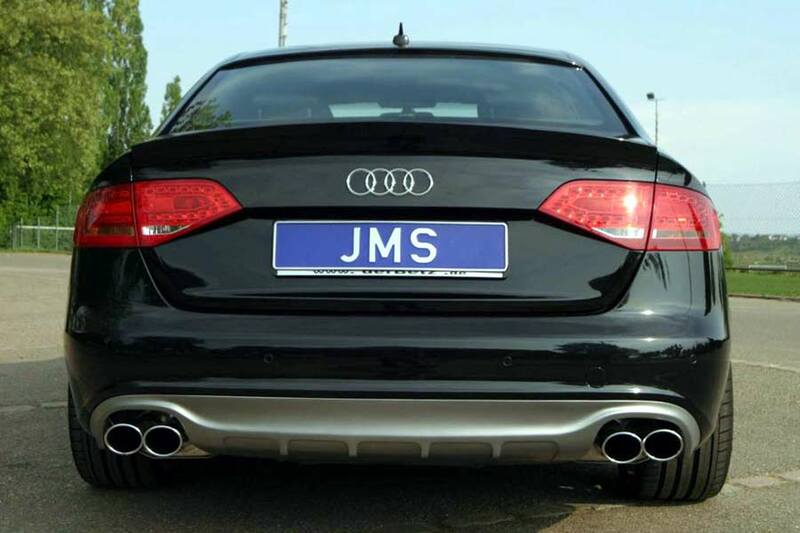 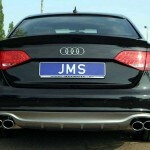 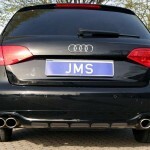 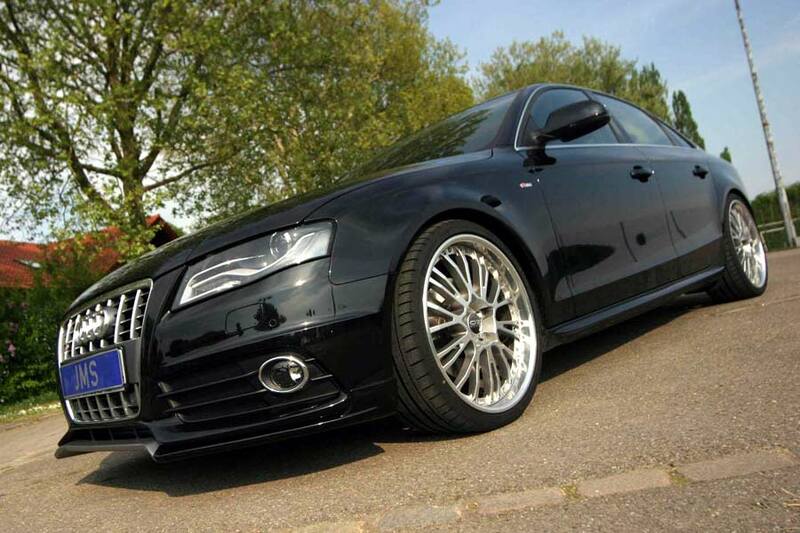 Styling specialist JMS has created a new styling package for the current Audi A4 models in both standard and S-Line spec. 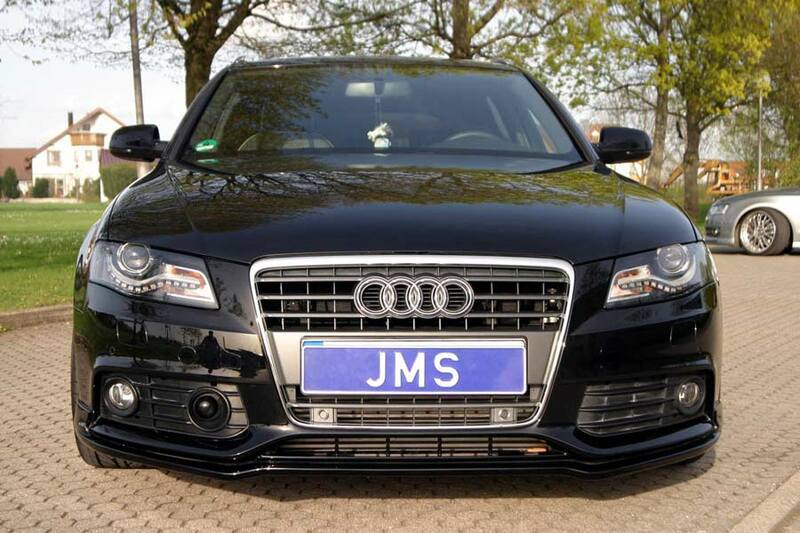 A front lip for either car will set you back €239, as will the rear apron, while a stainless steel exhaust system for the S-Line costs €1740. 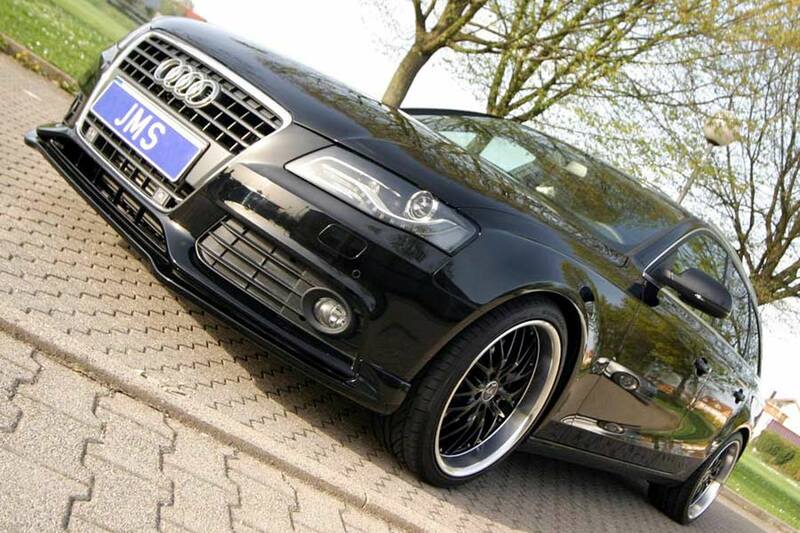 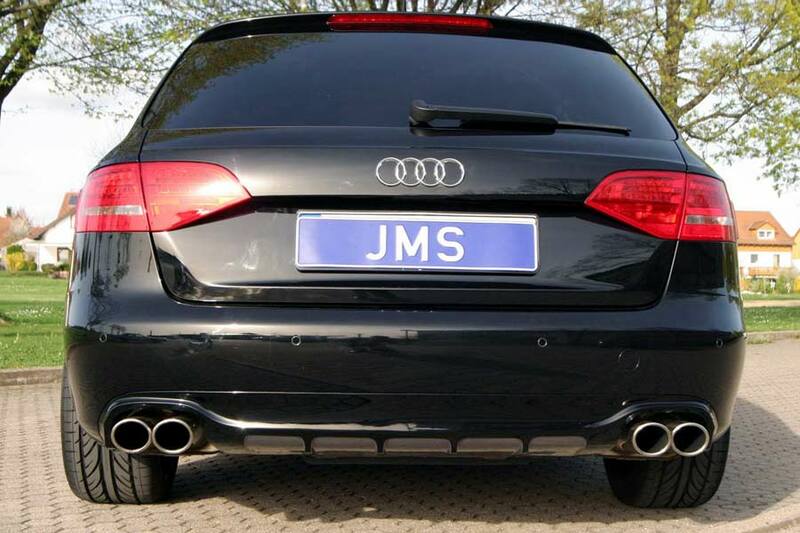 A stainless steel silencer system, with quad tailpipes, is available for the basic model at €849. 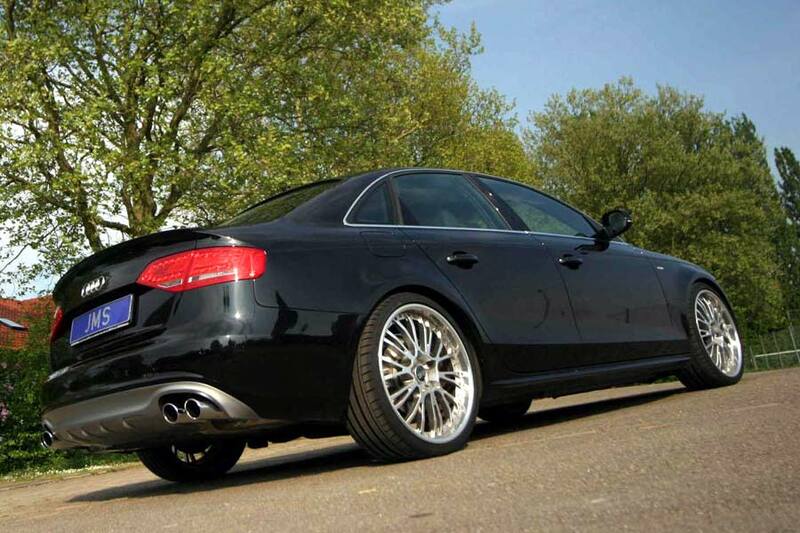 H&R lowering springs drop the Audi 40 mm closer to the road, and a change of wheels completes the program, with a choice of 19-inch Barracuda T6 rollers, or the (much easier on the eye…) 3-piece 20-inch OZ Botticelli III items.